Oh she's only gone and done it again! CL Taylor continues to write excellent books which result in my exclaiming that each one is her best book yet. Well I repeat myself gladly because Sleep is simply outstanding and most definitely her best one yet; I fail to see how this can be bettered. With a first sentence that may very well be the hook of the century, this book grabs the reader from the start and doesn't let go until the final page is turned. Events in Anna's past result in her leaving her job and relocating to a remote Scottish island to work in a small hotel. Unfortunately, her memories travel with her so she continues to be haunted by her past. If Anna thinks past events were bad, she hasn't seen anything yet. When seven guests arrive at the hotel for a walking tour, they all have something to hide but one of them hasn't come for the walking tour; they've come for Anna. Like a game of Cluedo, the reader must gather the clues and work out who the killer is but good luck with that as it could be absolutely any one of them. I loved delving into the psyche of each character; seeing what made them tick and unearthing their deepest darkest secrets. One of the guests is ahead of the game though; only letting us see a little part of the real person underneath, but they are so cleverly masked that I was completely thrown off the scent by CL Taylor's amazing art of deception. With all the perfect ingredients for a gripping murder mystery, CL Taylor has crafted a superb whodunnit. 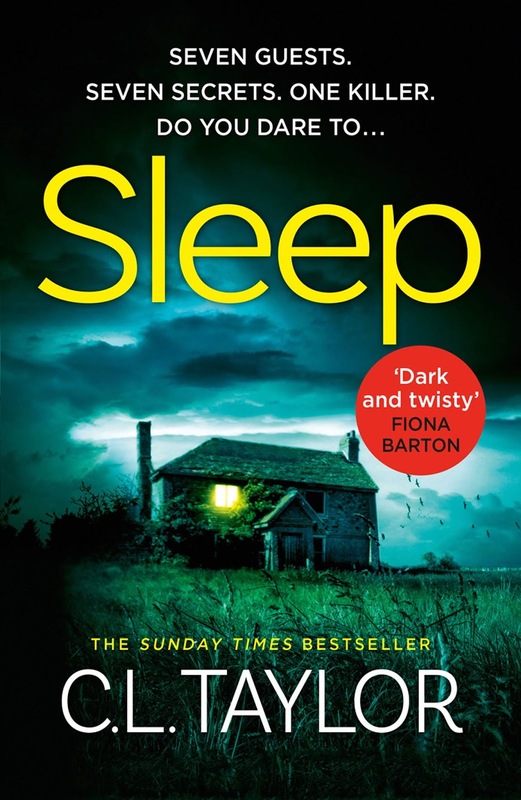 Sleep is a completely addictive modern day murder mystery which the great Agatha Christie would have been proud to have written. I couldn't read Sleep fast enough and it's so very well named as I didn't want to put it down to catch up on my own sleep until I had devoured every single word. 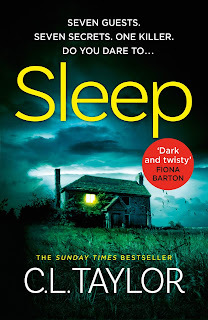 Breathtaking, enthralling and almost too brilliant for words, Sleep is well deserving of every one of the five stars I don't hesitate in awarding it. 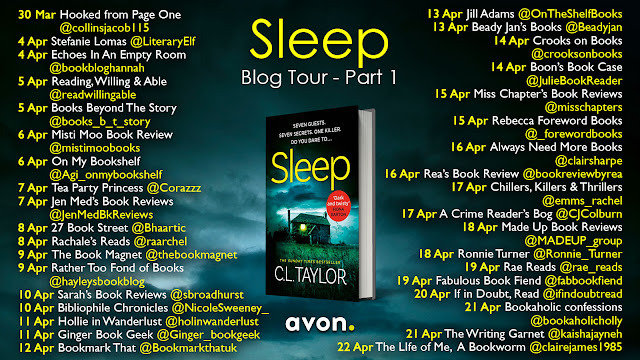 A very highly recommended read and if you haven't discovered CL Taylor yet, make sure you put Sleep on your wishlist; you won't regret it but be prepared to be up all night reading!